Dark Phoenix, the next entry in the Fox’s X-Men franchise, will have a cast of familiar faces and tons of new ones. Sophie Turner’s reprising her role as Jean Grey/Dark Phoenix, and James McAvoy will be back to mentor her as Professor Charles Xavier, bald head and all. And, despite previous evidence to the contrary, Jennifer Lawrence and Michael Fassbender will also return to play their respective characters, Mystique and Magneto. New villain Lilandra of the Shi’ar will probably be played by Jessica Chastain, who’s among the newcomers to the series. Entertainment Weekly’s learned that there’s a huge casting call for mutants right now, including someone to take on the role of Dazzler. The casting notice actually calls for several roles, including a young girl with “an old soul,” who, Heroic Hollywood speculates, may or may not be Rogue, as well as someone from the Hellfire Club. The description for a teen performer caught EW’s eye, though, since we’ve previously, sort of seen Dazzler. 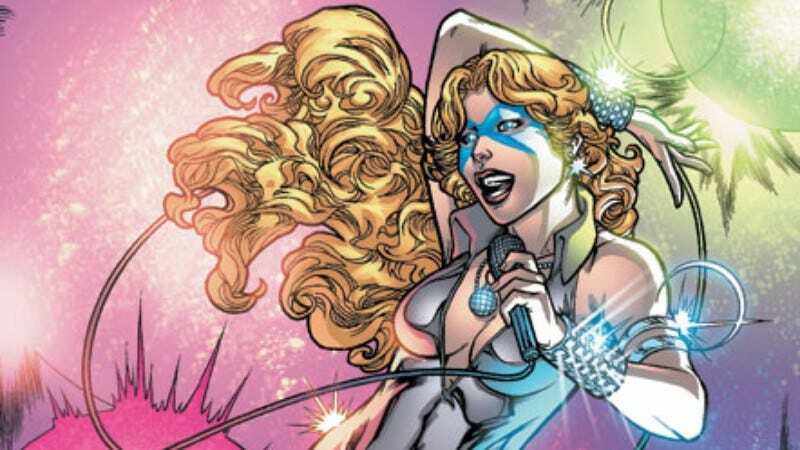 And EW has confirmed that Dazzler, a.k.a Alison Blaire in the comics, will be in Dark Phoenix, though “only in a small role.” Furthermore, despite Turner’s Instagram jokes—which were probably misinterpreted—“there is no plan at the moment” to cast Taylor Swift as the light-bending singer.